I came across Charlotte Haertling‘s instagram and approached her about doing a yoga shoot. When we met up to go over ideas, we jumped on AirBnB to find potential locations to shoot. 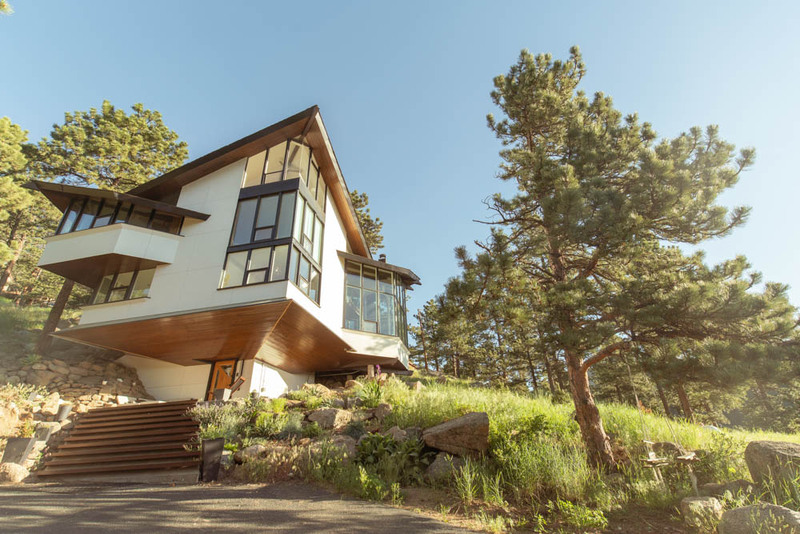 I found a gorgeous property with wonderful natural light and was about to write to the owner when we read the description: built by Boulder Architect Charles Haertling. Charlotte laughed to herself and said, “You know my last name is Haertling, right? That’s my grandfather, the architect. I’m named after him.” You can see Charles’ beautiful and unique structures all over Boulder. I relayed this information to the owner of the house, and she graciously agreed to let us use it for our shoot! Talk about serendipity!